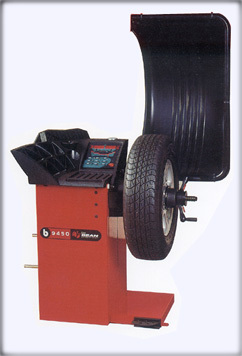 The b9450 Motorised wheel balancer. A wide range of Adaptors such as motorcycle adaptors and centerless wheel adaptors are available for all of the wheel balancers we supply. Please go to our wheel balancer adaptor section for more information. The stadium weight tray is designed is to provide the user with a practical layout. 'Split weight positioning' enables precise, discreet location of wheel weights behind spokes of alloy wheels. Weight positionong 'arm' enables accurate weight location whilst automatically measuring wheel diameter.